Our client is building two townhouses, one for herself to live and the other an investment for sale. The townhouse our client will reside in will be the stand out of the two with extra features as this will be her home. The design style for the investment townhouse is sleek and clean to appeal to a broader property market. For this Concept Consult we played a lot with hexagonal tiles. Our client wanted them throughout her home, with a colour scheme of black, white and grey. 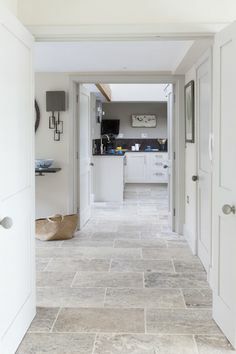 We found a beautiful grey timber tile for the bathroom floors. 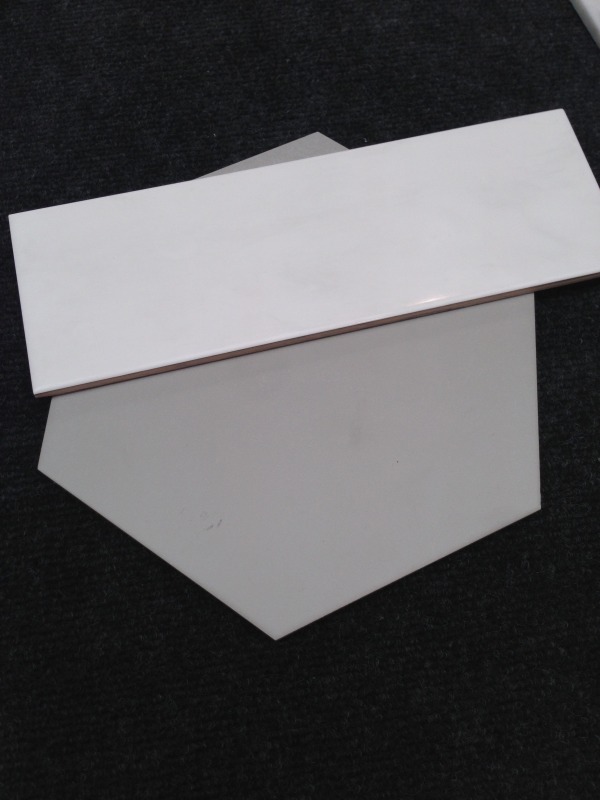 We paired the timber tile with a white subway tile, they will feature in each bathroom and on the laundry splashback. Our client wanted a feature in each space as well, so keeping in mind the hexagonal shape she loves, we pulled out all of our options. Above: Laundry tile selection. 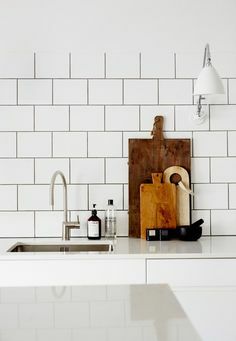 Large grey hexagonal tiles on floor and white subway tile will serve as the splashback. 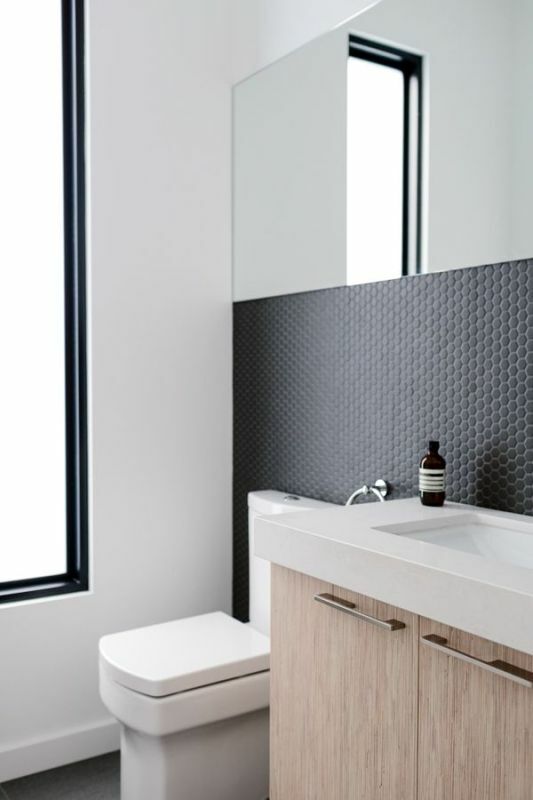 Above: Our client’s love of marble and hexagonal tiles combined together in an ensuite feature wall. Above: These smaller hexagons will serve as a feature wall in the two other bathrooms. 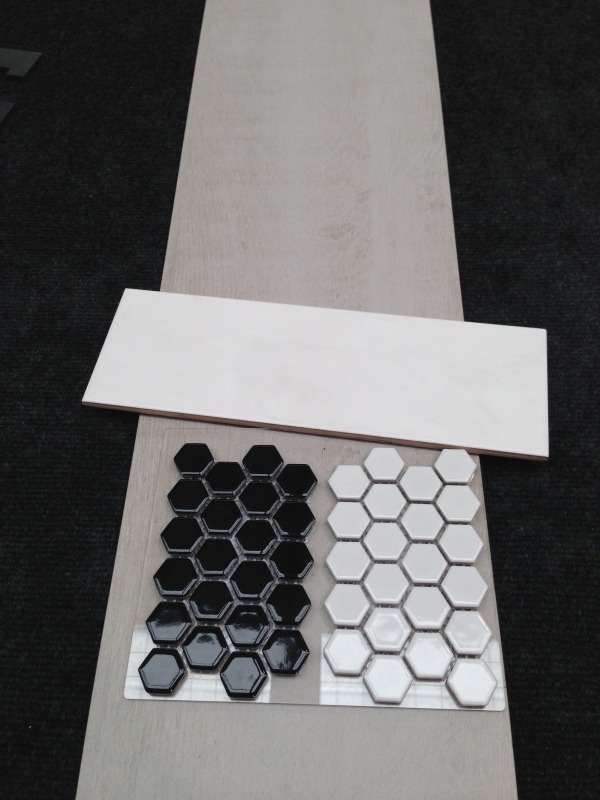 One bathroom with black hexagons and the other white. 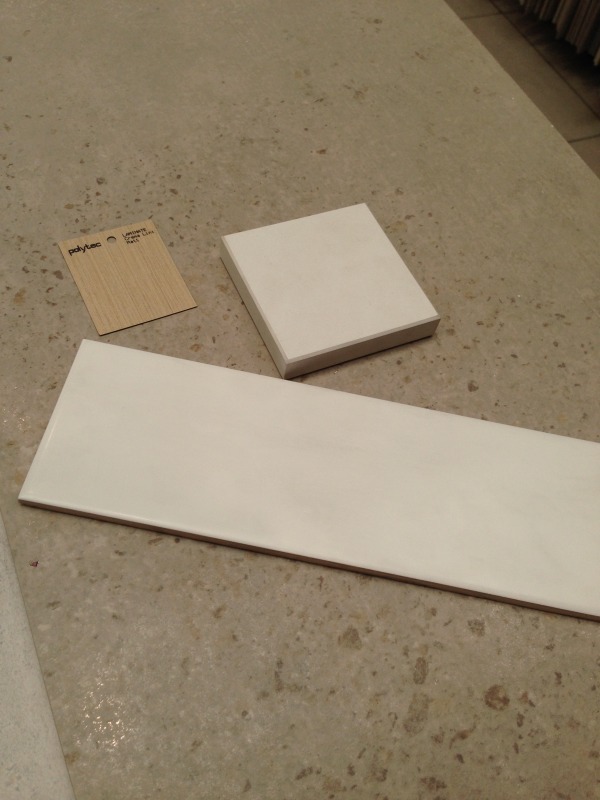 For the investment townhouse we took a more subtle approach, choosing a concrete looking tile for the floors and a white subway tile for the walls in all of the spaces (bathrooms and laundry). Above: Concept selection for the investment townhouse. 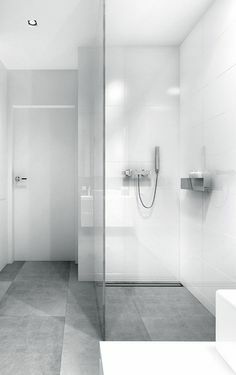 Happy with the concepts we collated for the spaces, our client is relieved to be able to move forward and sit back and just wait for her home to be completed! 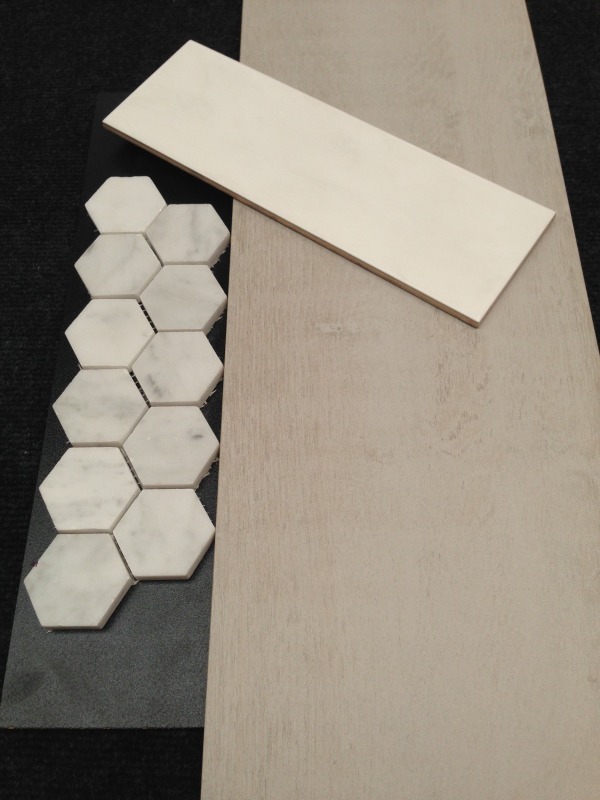 TILE junket showcase the best tiles available in Australia from around the globe, right here in Geelong. Book your showroom complimentary Concept Consult for interior design assistance for your tile project. For more interior design services, Tracy Caporusso consults from her own business In Home Designs and will come to you.